Surgeons often need to realign the spine by performing a reduction. 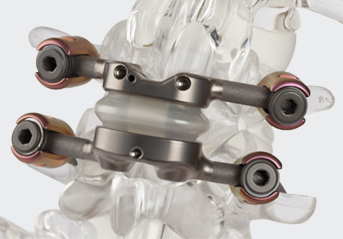 Premia Spine offers an in-tower reduction for big reductions and a novel Quick Reduction Instrument—a tower and set screw inserter attachment that quickly reduces a 7-millimeter spondylolisthesis, saving surgery time compared traditional reduction techniques. 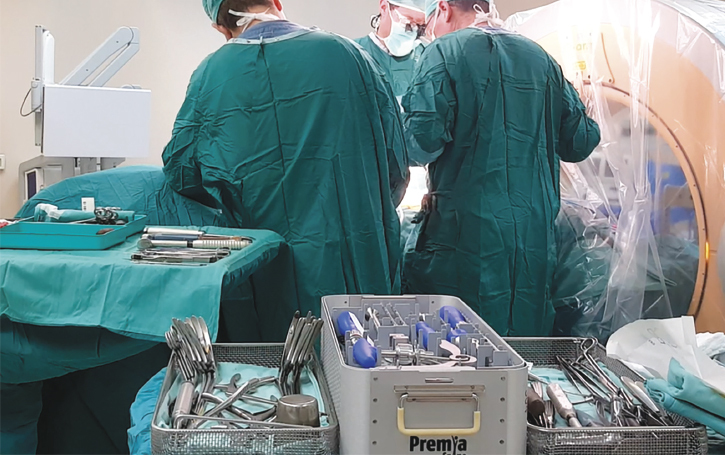 During the procedure, surgeons may want to remove the towers for easier access to the disc space, but want to reattach for final compression or distraction. Most towers are fiddly or pop off at the wrong moment during the procedure. The ProMIS spring-activated Tower System stays on—even under high forces—and releases easily with a unique release mechanism. 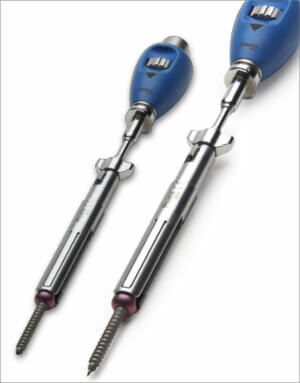 Premia Spine offers a solid-state fixation Rod Inserter for easy rod passage. A unique swivel release frees the rod from the Inserter. 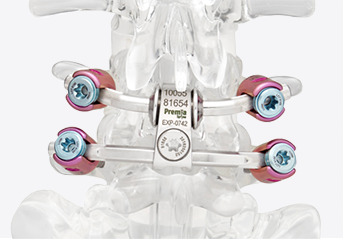 Premia Spine offers robust compression and distraction instruments for maximum cage-bone interface and optimal sagittal balance.